Puck†Bædeker: "When I was young I knew everything..."
In the more specific realm of rock music, there are scores of great cover songs, many of which handily improve on the original. Most of these examples accept the muscle of the song (it is rock, after all) and seek to provide added heft and sublimity to the new version. When Pixies covered Jesus & Mary Chain's 'Head on', they upped the ante on the original's wall of guitars the only way it could be done: with punk rock bombast. Since the nineties, though, we have seen a growing trend in rock covers: stripping a well chosen rock song back to reveal the delicate soul underneath. Obviously this is not going to work with most rock songs since most of them harbor no delicacy whatsoever. But a handful of astonishingly successful acoustic covers have challenged our assumption that all rock songs are written for power, not subtlety. Take Tori Amos's cover of 'Smells like teen spirit' by Nirvana. Or, more recently, Johnny Cash's cover of 'Hurt' by Nine Inch Nails, and Ryan Adams's cover of 'Wonderwall' by Oasis. In each case, our first response to the cover version is disorientation: how can it be so familiar, yet so new at the same time? All the elements we assumed were vital to the songs are gone: volume, electric guitars, bluster. Who would have guessed there was something so remarkable underneath? Recently, I had that delicious experience of disorientation again. I can't say I was much of a fan of that peculiar strain of late nineties adult alternative rock that clogged the radio stations with songs so derivative that within a season they were derivative of each other. Verve Pipe's 'The freshmen' is a prime example. Rock without danger, emo without vulnerability, pop without anything to make it memorable. These songs passed in one ear and out the other, and I never gave them a second thought. Until I heard Daniel Kelo's version of 'The freshmen.' Who knew a lovely, heartbreaking song was hiding in that generic arrangement? Who knew such thrilling piano chord progressions could take the place of the clumsy guitars? Apparently Mr. Kelo did; he says the arrangement had been floating around in his head almost from the moment he heard the original. I'm glad he finally committed it to a recording; it's astonishing and revelatory. Of course it's not without antecedent; Dan's skill is based in his substantial history as a technically rigorous musician. I hear echoes of Howard Jones's underappreciated keyboard skills (see 'Little bit of snow' for the perfect example) and Dan fits nicely in Peter Gabriel's lineage of rock vocalists who know how to deliver nuanced quiet performances (see Gabriel's solo piano cover version of his own 'Here comes the flood'.) But Dan has solidly staked his claim as a performer to watch with an inspired cover that trumps the original on all counts: more inspired approach, better arrangement, and better vocal performance. 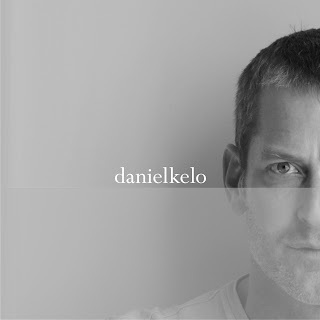 Refresh your memory of the original first, and then follow this link to pick up Daniel Kelo's 'The freshmen'. You might wonder if the late nineties was such a desolate musical place after all.